The mere thought of "cottage" puts the mind at ease, as a cottage is where life is simple, comforting, and true. Whether new or remodeled, storybook or modern, permanent home or vacation getaway, cottages are perennial favorites full of romance, simplicity, and endless appeal. 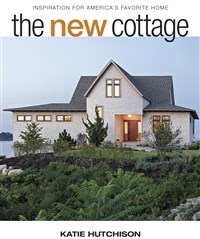 Katie Hutchison is an architect with over 23 years of experience in residential design and is author of the best-selling The New Small House, also from The Taunton Press. She's sole proprietor of Katie Hutchison Studio, and provides design commentary to shelter magazines, such as Fine Homebuilding, and design blogs, including her own, House Enthusiast. Hutchison and her husband live in Warren, Rhode Island.